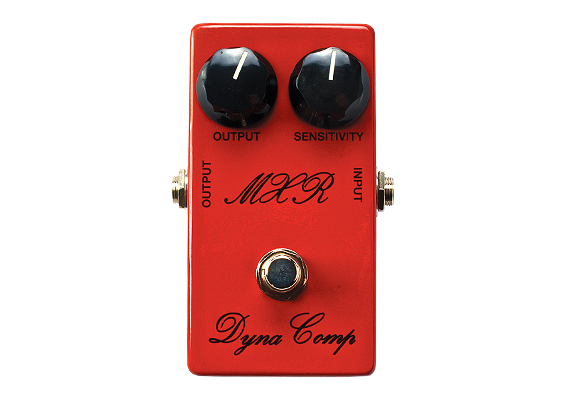 The Dyna Comp was first released in the 1970’s and quickly became a favorite of Nashville-based guitarists, and country guitarists everywhere. It’s signature tone was NOT transparent- it definitely thickens the tone and warms the top end somewhat, perfect for thickening/warming up the Telecaster-Fender amp combo that is favored by so many country guitarists. It couldn’t be simpler to use, and sometimes, simplicity and lack of adjustment can be seen as a bonus, in my opinion. 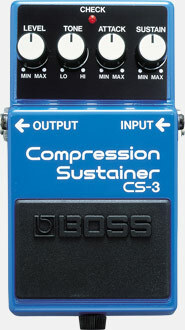 There’s a sensitivity control that adjusts the amount of (and the onset of) compression, and an output gain control. Notable users outside of the country music scene include Andy Summers from The Police and Pete Townshend from The Who. Another 70’s classic, these were really quite similar to the Dyna Comp. Warm tones, and long sustain. Like the Dyna Comp, you just get two controls- sustain (the same as the Dyna Comp’s “sensitivity”) and level. They have a reputation for being quite noisy. The Boss compressors rose to popularity in the 1980’s. 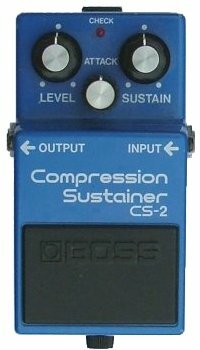 They were durable and readily available, and I’m pretty sure the CS2 might be one of the earliest compressor pedals to feature an attack knob. This is where things can get interesting, albeit more confusing. A fast attack setting will reduce the volume of the initial pick or finger “strike”, and depending on where the “sustain” control is set, this can sound quite dramatic (almost “pedal steel” volume swell-like effects can be had). For a more natural, transparent effect, a slower attack time will let the initial pick or finger attack through. 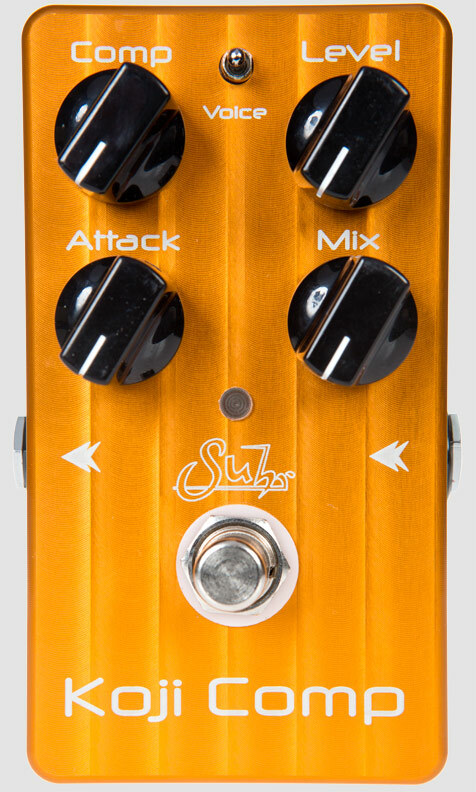 Raise the level up, and set the sustain control for just subtle “squish”, and you can use the Boss compressors as a colored boost. 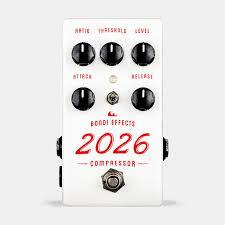 This is a hugely popular modern compressor pedal, over 44,000 have been produced. 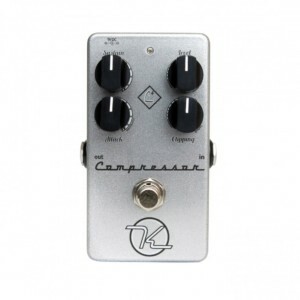 the Keeley was one of the first pedal compressors to blur the line between pedal (guitar) compressors and “studio grade” compressors. It features an attack knob, and also has a control labeled “clipping”. This allows users to adjust the input sensitivity of the pedal, so it can be used with guitars or basses with hot active pickups and/or preamps, or even keyboards and other instruments with line level output. 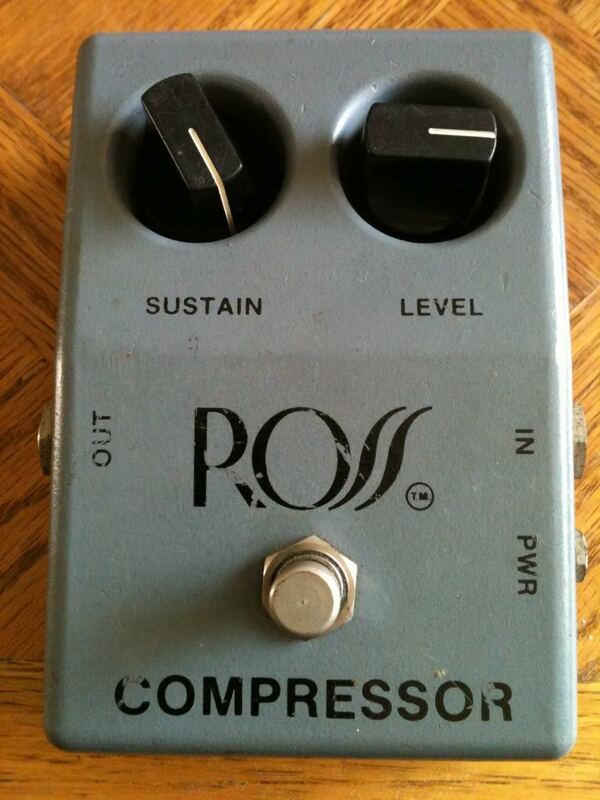 Truly one of the first “boutique” pedals! 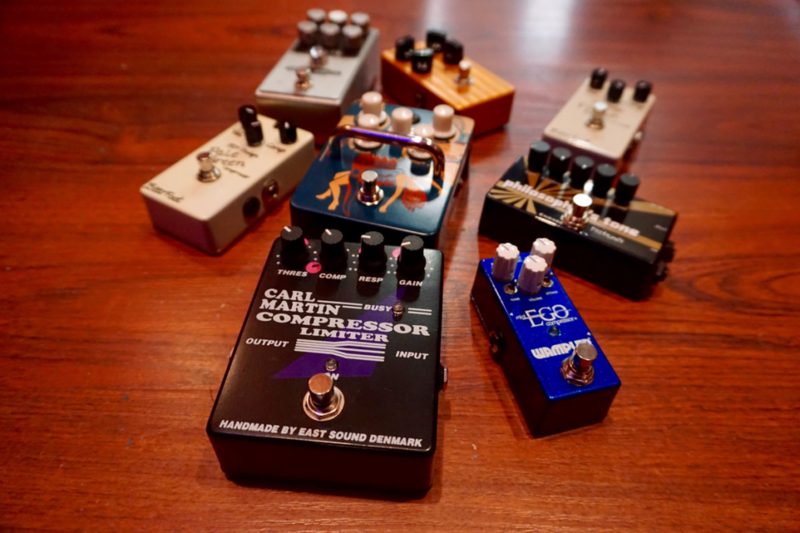 These pedals represent some of the latest, most feature-laden compressor pedals on the market. 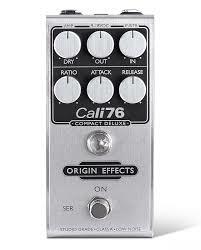 The Ego, Cali 76 and Koji feature mix controls, and this allows the user to blend the compressed sound with dry signal. 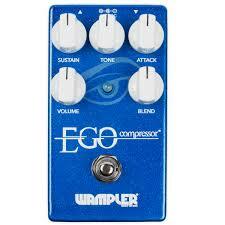 You can squash the tone significantly, and still retain a natural sound by blending in some dry signal. The Koji also features a 3 position tone switch, allowing the user to shape the top end. Anywhere from neutral or slightly muted top end to an almost “hifi” tone can be achieved. 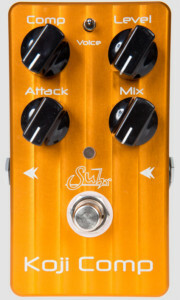 All the pedals feature adjustable attack, and the 2026 and Cali 76 also have adjustable release. 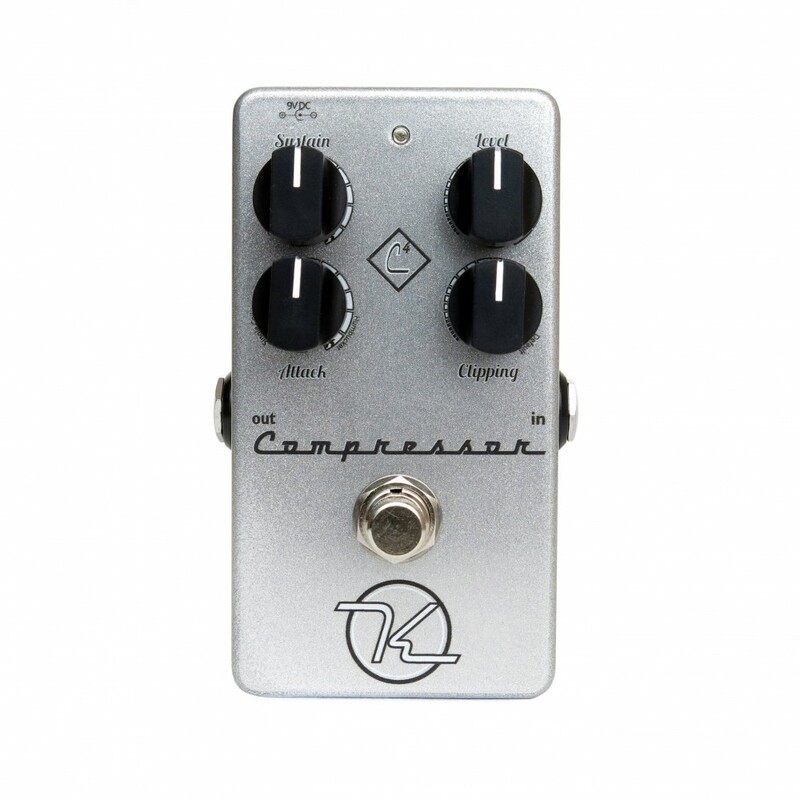 The release determines how long the compressor will “hold” onto a signal, once it has crossed the threshold into compression. I really love using compression, both as an obvious effect to “squish” single notes and arpeggiated or strummed clean chords, and as a more subtle effect that “pumps up” my clean sound! Clean tones and compression go together like peanut butter and jelly! See y’all soon for more blog posts. I think it’s important to mention the comparison between limiters and compressors. How they are similar and what they are each designed to do that makes them different. And, how controlling signal levels impacts their tone.